Want to know the secret to creating wealth? The answer is get rich slow! Probably not the answer you were looking for but it is the only guaranteed formula for success. In this (yet another) nugget of Simon Sinek gold, Sinek uses logic to explain why this is a proven formula in so many aspects of business and life. In his words “there’s no single big event, there’s no one thing I can tell you to do it is an accumulation of lots and lots of small steps that if done in isolation would be innocuous and useless – literally pointless by themselves. But if you do it consistently and in conjunction with a lot of other small steps you will get to your goal”. Global shares had a bumpy couple of weeks, as strong economic data and corporate earnings were offset by geopolitical concerns. 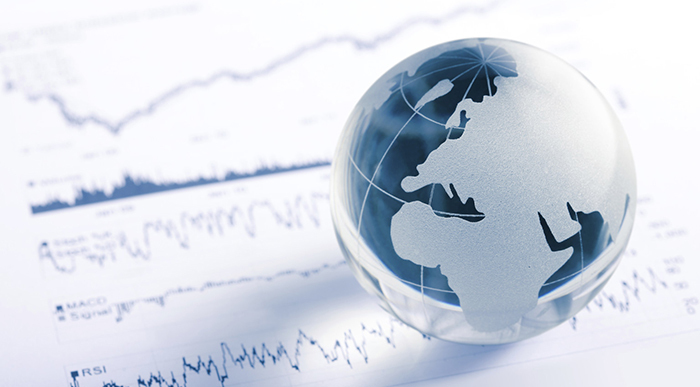 Most major markets had a positive start to the week as investors regained their composure after last week’s sharp sell-off, with many indices posting their largest one-day rallies since March. What caused the sharp sell-off? The main reason underpinning the pullback was a response to concerns that rising interest rates (increasing bond yields) in the U.S. would cause a national or global slowdown. This compounded with rising US – China trade tensions and other macro-economic news from around the world caused the market to ‘connipt’. The obvious question is, what now? Should inflation and wages in the U.S. surprise on the upside then the Fed may be forced to move rates more aggressively, this would definitely not play out well for equity markets. We continue to monitor risk and retain our view that whilst a cautious stance is warranted, we do not expect “the sky to fall” anytime soon. What we do expect is a choppy period of consolidation as markets come to terms with the normalisation of rates in the US. If you have any questions regarding the recent market developments or your portfolio positioning, please contact your adviser. For more regular updates please click here to ‘opt-in’ to receive our weekly market update. Under current rules you must be aged 55 years or over to transfer UK pensions as a lump sum to Australia. If you have a funded Civil Service/Public Sector Pensions that is eligible for transfer (for example: Local Government Pension Schemes and Universities Super Schemes (USS)) you must complete the transfer before turning 60 years old. From time to time transfers can be subject to UK administrative complexities, to this end we advise commencing the transfer process at least 6 – 9mths prior to your 60th birthday. Please Note: UK State Pensions (Old Age Pensions – from your National Insurance contributions) CANNOT BE TRANSFERRED as a lump sum (i.e. are not eligible for transfer) – here is a link to find your State Pension Information. Company Pension Funds Eligible only if pension payments have not yet commenced. A Company Pension Scheme (otherwise known as a Workplace or Occupational Pension) is a pension that is set up by your employer to provide retirement benefits to you while you are employed by them. Personal Pension Plans Often eligible only if pension payments have not yet commenced. A personal pension is usually arranged by yourself, not your employer, and is a type of money purchase plan. Funded Civil Service Pensions Eligible only if pension payments have not yet commenced. Flexi Draw Down Pensions The majority of draw down pensions are eligible for transfer even if pension payments have already commenced. All Government State Pensions A British State Pension is also know as a Government Pension or Old Age Pension. Your entitlement to this pension accumulates during your lifetime and is paid by the UK Government when you reach state pension age, which depends on your date of birth.A state pension value is based on the number of years of National Insurance (NI) contributions made throughout a person’s working life. You have to have at least 35 qualifying years’ worth of NI contributions to qualify for a full State Pension. *All government state pensions are not eligible for transfer to Australia. The Wall Street Journal (one of our favourite places to ‘hang out’ online) has compiled this list of “best duty” questions to ask your financial adviser. Although very American it is thought provoking none-the-less and in our view Australian Advisers should be just as happy to answer a similar set of questions with context – I know we are! Please note both the questions and answers are from the original Wall Street Journal Article (using the American context). Getting all stockbrokers, financial planners and insurance agents to act in the best interests of their clients is a struggle that financial firms and their regulators still haven’t resolved. That should be their job — but for now, it’s yours (the investor). Until regulators and trade groups sort things out — and the next total solar eclipse may come first — the burden of finding someone who will act in your best interest is on you. Most global share markets fell over the last week on the back of the political crisis around President Trump. US shares fell 0.4% after recovering some of their losses later in the week, Eurozone shares fell 1.1%, Japanese shares fell 1.5% and Australian shares fell 1.9%. Australian shares are now down around 4% from their high earlier this month and have been hit by the weak global lead combined with pressure on the banks as a result of the Budget’s bank levy along with expectations for slowing credit growth and weakness in retailers on the back of weak retail sales and fears around the competitive threat from Amazon. Chinese shares managed to buck the global trend and see a 0.6% gain. Reflecting the risk off environment bond yields generally fell, but commodity prices mostly rose helped by a falling US dollar. The weaker US$ and good jobs data also helped support a small bounce in the A$. First, impeachment is initiated by the House of Representatives and can be for whatever reason the majority of the House decides and conviction, removal from office, is determined by the Senate and requires a two thirds majority. At present Republicans control the House with a 21 seat majority and won’t vote for impeachment unless it’s clear that Mr Trump committed a crime (and so far it isn’t obvious that he has) and/or support for him amongst Republican voters (currently over 80%) collapses. However, Mr Trump’s overall poll support is so low that if it does not improve the Democrats will gain control of the House at the November 2018 mid-term elections and they will likely vote to impeach him. Then it’s a question of whether Mr Trump can get enough support amongst Republican Senators to head off a two thirds Senate vote to remove him from office. This is all a 2019 and beyond story, but the point is that Republicans only have a window out to November next year to get through the tax cuts/reforms they agree with Mr Trump should happen. So if anything, all of this just speeds up the urgency to get tax reform done because after the mid-terms they probably won’t be able to. Now there is another way for the Vice President and Cabinet to remove a President from office under the 25th Amendment of the Constitution which is aimed at dealing with a President who has become mentally incapable. While some may claim this one is a no brainer, Vice President Pence is a long long way from doing this. The bottom line is that while the noise around President Trump and particularly the FBI/Russia scandal will go on for a while it does not mean that tax reform is dead in the water. On this front work on tax reform is continuing including in the Senate and Mr Trump’s infrastructure plan (which is likely to be around leveraging up Federal spending and encouraging states to privatise their assets and recycle the proceeds) looks likely to be announced soon. Share markets have had a great run and are due a decent 5% or so correction as a degree of investor complacency (as indicated by an ultra-low VIX reading two weeks ago) has set in and the latest scandal around President Trump may just be the trigger. North Korean risks are another potential trigger and after all it is May (“sell in May and go away”). Australian shares are down 4% from their high early this month, but global shares are only down 2% or so. However, providing the current Trump scandal largely blows over for now allowing tax reform to continue it’s unlikely to derail share markets beyond any short term correction. Valuations are reasonable particularly for share markets outside the US, global growth is looking healthier, profits are rising (by around 14-15% yoy in the US and Japan and by 24% yoy in Europe) and global monetary conditions remain supportive of shares. It seems to have been a week for political scandals. Aside from those around President Trump, a corruption scandal has engulfed Brazilian President Temer highlighting that big risks remain around Brazil and allegations have emerged regarding Japanese PM Abe (although he is likely to survive them). US economic data was mostly good. Housing starts fell in April but driven by volatile multi units and a further increase in the already strong NAHB homebuilders index points to strong housing conditions going forward. While the New York regional manufacturing conditions index fell in May it rose in the Philadelphia region and industrial production rose sharply in April. Meanwhile, jobless claims remain at their lowest since the early 1970s. All of this is consistent with the Fed hiking rates again next month. The political noise around President Trump will only impact the Fed if shares and economic conditions deteriorate significantly and that looks unlikely. The Japanese economy accelerated to 0.5% quarter-on-quarter in March driven by consumption and trade taking annual growth to 1.6% year-on-year. This was the fifth consecutive quarter of growth, the first such run in 11 years. Chinese data for industrial production, retail sales and fixed asset investment slowed in April consistent with other data indicating that recent policy tightening is impacting. Our view remains that GDP growth will track back from March quarter growth of 6.9% year on year to around 6.5%. The Chinese authorities have little tolerance for a sharp slowing in growth and policy makers are already showing signs of easing up on the policy brake. Meanwhile property price growth seems to have stabilised around 0.5% a month over the last few months, but is still slowing in Tier 1 cities. Australian data was mixed. Jobs growth was strong again in April and forward looking jobs indicators point to continuing strength ahead, but consumer confidence fell and wages growth remained at a record low of just 1.9% year-on-year. While the good jobs numbers will help keep the RBA on hold for now regarding interest rates the continuing weakness in wages growth is a concern and highlights ongoing downwards risks to growth, inflation and the revenue assumptions underpinning the Government’s projection of a return to a budget surplus by 2020-21. With unemployment and underemployment remaining in excess of 14% it’s hard to see what will turn wages growth up any time soon. So while our base case is that interest rates have bottomed, if the RBA is going to do anything on interest rates this year it will more likely be another cut than a hike. Particularly if property price growth slows. OPEC meets Thursday and is likely to extend its oil supply cuts in the face of rising US shale oil production. OPEC is in a bind: if it cuts supply further it will lose more market share to shale oil but if it hikes production oil prices will plunge again. In the US, in the week ahead expect the minutes from the last Fed meeting (Wednesday) to remain consistent with another rate hike at the Fed’s June meeting and the Markit manufacturing conditions PMI for May (Wednesday) to show a slight improvement from April’s reading of 52.8. New home sales (Tuesday) and existing home sales (Wednesday) are expected to fall back slightly after strong gains in March, home prices (Wednesday) are expected to show a further gain and April durable goods orders (Friday) are expected to remain consistent with continued reasonable growth in business investment. March quarter GDP growth (Friday) is likely to be revised up to 0.9% annualised from an initially reported 0.7%. In Europe, expect May business conditions PMIs (Wednesday) to remain strong consistent with stronger economic growth. Japanese core inflation for April (Friday) is expected to remain around zero consistent with the Bank of Japan maintaining a zero 10-year bond yield and quantitative easing for a long time. In Australia, March quarter construction data is expected to show continued softness in mining related engineering construction but gains in residential and non-residential construction. Speeches by RBA officials Debelle, Bullock & Richards will be watched for any clues on interest rates. Shares remain vulnerable to a further short term setback as we are now in a weaker seasonal period for shares with risks around President Trump, North Korea, Chinese growth and the Fed’s next rate hike next month providing potential triggers. However, with valuations remaining okay particularly outside of the US, global monetary conditions remaining easy and profits improving on the back of stronger global growth, we continue to see any pullback in shares as an opportunity to “buy the dips”. Shares are likely to trend higher on a 6-12 month horizon. Low yields and capital losses from a gradual rise in bond yields are likely to see low returns from sovereign bonds. For the past year the A$ has been range bound between $US0.72 and $US0.78, but views remain that the downtrend in the A$ from 2011 will resume this year. The rebound in the A$ from the low early last year of near US$0.68 has lacked upside momentum, the interest rate differential in favour of Australia is continuing to narrow and will likely reach zero early next year (as the Fed hikes rates and the RBA holds) and constrained commodity prices will also act as a drag. Expect a fall below US$0.70 by year end. With Trump, Brexit, Italy’s “No” vote and China’s currency woes, the world economy and markets have embarked on a journey into the unknown. As coauthor Andrew Balls and I noted, the only certainty in our view is that the “tails” in the distribution of potential macro outcomes have become fatter – i.e., more extreme scenarios, which usually have a low probability of taking place, have become more likely. The downside, or left-tail, risks are defined by rising debt, monetary policy exhaustion and the populism-powered transition from globalization to de-globalization. By contrast, upside, or right-tail, opportunities may emerge from potential deregulation, awakening animal spirits and the accelerating transition from exhausted monetary policy to growth-supportive fiscal policies. The transition from monetary to fiscal policy, which has gained speed with the European Central Bank tapering the monthly run-rate of its asset purchases to €60 billion, the Bank of Japan abandoning its money supply target in favor of a yield target, and the next U.S. administration likely to embark on a more expansionary fiscal policy. The transition from globalization to de-globalization, which has been underway for some time but looks set to accelerate as governments in the U.S. and elsewhere will likely become more inward-looking. China’s currency regime transition from what was a U.S. dollar peg until August 2015 to the current quasi-basket peg to what may become a managed or even free float of the yuan. Investors should consider a patient approach and aim for capital preservation until the veil of uncertainty over future policies starts to lift. With markets prone to overshooting and undershooting and likely to swing back and forth between our secular New Neutral and a potential “New Paradigm,” better opportunities to deploy liquidity should emerge in the course of 2017. STOP-PRESS: On July 1 2015, HMRC re-published its ROPS (Recognised Overseas Pension Scheme) list, stripping all Australian QROPS schemes of their QROPS status (with the sole exception of the Local Government Superannuation Scheme). HMRC made this decision in the belief that Australian funds are unable to comply with the new QROPS requirements because of their overarching obligation to comply with Australian legislative requirements. As a result, all UK pension transfers have been placed on hold to minimise the risk of unauthorised payment penalties (up to 55%) for customers. However, we are still accepting DCFs to facilitate those wishing to join our subscriber list to access the most up-to-date information on this issue. DCF processing will resume once the QROPS issue is resolved. This complex issue has already been raised at an industry level with the Australian Treasury. And as PTD continues to provide input to both HMRC and the Australian Treasury over the coming weeks to facilitate a positive outcome for all, we will also continue to keep you up to speed with the latest developments as they unfold. 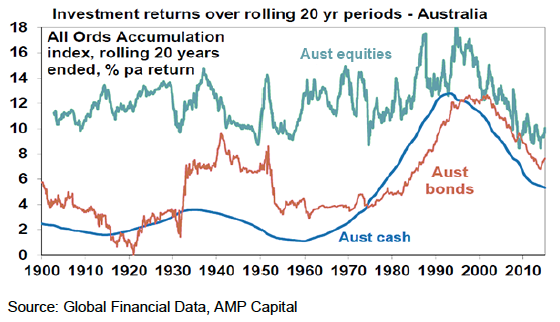 Cycles are an investing reality. Not just shares – but also bonds, property, infrastructure, term deposits, whatever. They all go through cyclical phases of good times and bad which are driven by the combination of fundamental economic & financial developments invariably magnified by investor behaviour that has a habit of extrapolating current conditions into the future. Some cycles are short term, such as those that relate to the 3 to 5 year business cycle. 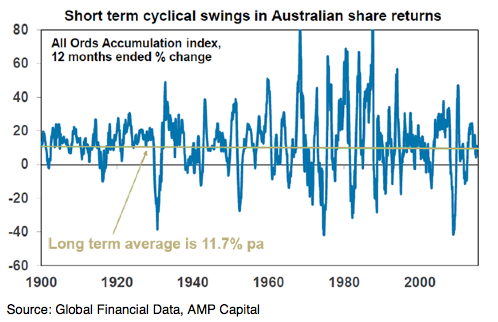 Some are longer, such as the secular swings seen over 10 to 20 year periods in shares. In every cycle there comes a point where fundamental conditions are so good that they are bad: economic growth is so strong that its causing inflation to rise and central banks to run ever tighter monetary policies; shares have become overvalued; and investors have piled in at such a rate that there is no one left to invest. This then sets up a market top and a new bear market. And the reverse applies during economic and market downturns. Which brings us to contrarian investing. This is a bit extreme, but it illustrates a key point. The best time to buy shares and other growth assets is after a sharp fall and a good guide is the economic and financial pain around you. When it is at an extreme and it all looks hopeless then that’s usually a good sign that there is long term value to be found! There are two insights in this. First, markets are always bouncing around – minute by minute, day by day, year by year – because they are trying to discount the future. We just have to get used to it. Second, investment markets can be perverse. If the economy and profits are obviously bad then that is likely already reflected in the share prices and you are better off betting on what is not, eg an economic recovery. And vice versa when things are obviously good. The problem with contrarian investing is that in going against the crowd you lose that warm fuzzy feeling that comes with safety in numbers. You have to go against what you are hearing at BBQ’s or from the media and that can be very uncomfortable. This sounds rather bleak and is a bit simplistic, but it reflects the fact that most don’t invest on a contrarian basis – by definition markets top out when most investors are long and they bottom when most are short or underweight. Hence the comment about the market proving the majority of investors wrong. There are two ways around it: either adopt a contrarian approach which takes positions counter to the crowd at extremes or take a long term approach that looks through cyclical fluctuations. But whatever you do don’t get sucked in (or out) when everyone else is. I love this quote. Because often the financial commentary around investment markets can only see disaster. Eg, we have been inundated with commentary over the last five years to the effect that the Eurozone will soon blow itself apart or that if it stays together it is doomed to a horrible outlook. And yet not only has it stayed together but it has got bigger! 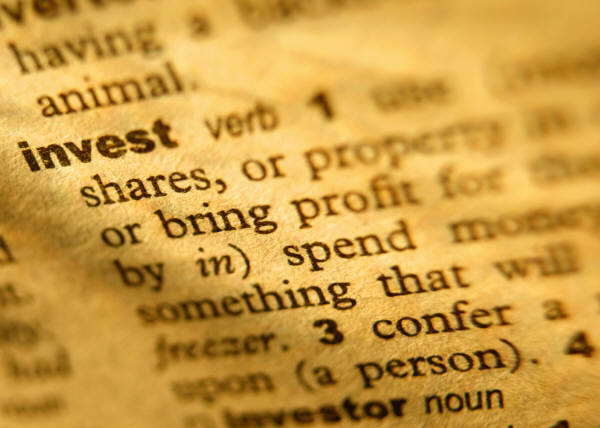 The key to successful investing is not to buy great companies or investments, but to invest well. Shares can give you horrible returns if when you buy they are overvalued and overloved. So you need an investment process that avoids this. This is the classic economists’ defence for when their forecasts don’t pan out! But it also highlights that any investment process needs to have a bit of flexibility for when the facts change. The key insight here is that trying to beat the market by stock picking can be hard and so if you want to grow wealth over time the key is to get a broad exposure to the market and letting compound interest do its job. Whatever you do, don’t overcomplicate your investments. Avoid investments you don’t understand and try and keep your investment process relatively simple and commensurate with the amount of effort you want to put in. You need to be able to see the wood for the trees and understand what’s happening. While that may be a bit harsh – you might say I would say that being an economist – the reality is that forecasts as to where the share market, currencies, etc, will be at a particular time have a dismal track record. Hence the jokes about economists! Good experts will help illuminate and point you in the right direction, but don’t over rely on expert forecasts. Basically, the same point. If you are going to actively move your investments around the key is to have a process that helps identify extremes – when assets are undervalued, underloved and oversold and vice versa. Or if you don’t have the time or inclination to put the effort in, it’s best to take a long term approach and let others manage cyclical market fluctuations. There have been lots of investments over the decades that have been sold on promises of high returns or low risk but were underpinned by hope based on hot air (the tech boom) or financial alchemy (AAA rated sub-prime trash). By contrast, assets that generate sustainable cash flows (dividends, rents, interest payments) and don’t rely on excessive gearing or financial engineering are more likely to deliver. In investing time is on your side and the more you have of it the better. So while short term market fluctuations can take you away from your objectives – think the first chart in this note, the longer the perspective you take the great the chance you have of achieving them – as per the next chart. We are all subject to behavioural biases, the most serious perhaps being a tendency to extrapolate recent developments off into the future regarding investment returns. So if the recent past has been poor you assume this will continue and want to get out and vice versa. But this just causes us to get wrong footed by the cycle. Just as spending too much time focussed on the rear view mirror will get you wrong footed by the road. If you can’t handle volatility associated with investment markets then either they are not for you or you should just take a long term approach and leave it to someone else. This is all about knowing yourself. The reality is that we all suffer from the behavioural biases that give too much weight to recent developments in forming expectations regarding future returns, seek safety in the crowd and give too much weight to loss relative to gain. But smart investors have an awareness of their weaknesses and seek to manage them. One way to do this is to take a long term approach to investing. But this is also about knowing what you want to do. If you want to take a day to day role in managing your investments then regular trading may work, but you need to recognise that this requires a lot of effort to get right and will need a rigorous process. If an investment looks too good to be true in terms of return or risk, then it probably is. Rather, focus on investments offering sustainable cash flows (dividends, rents, interest) that don’t rely on excessive gearing or financial engineering. And finally, just remember that money isn’t everything. Numerous studies show that people with good wealth and incomes are happier than those without, but beyond a certain level more money won’t necessarily make you any happier.